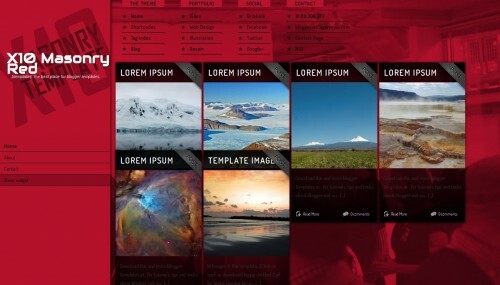 X10 Masonry Red is a free blogger template with 2 columns, left sidebar, gallery-styled, an exclusive design for Blogger, posts thumbnails, well designed threaded comments and girly looking. why theres no picture in my post at home tab? Was just wondering though, is there a way to conserve the original dimension of the pics inserted to our posts? This is Amazing.. Thanks man! !